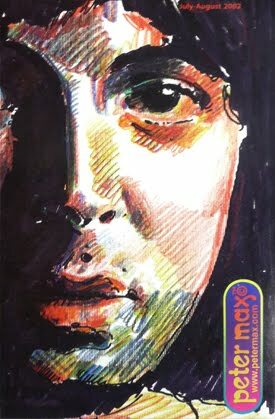 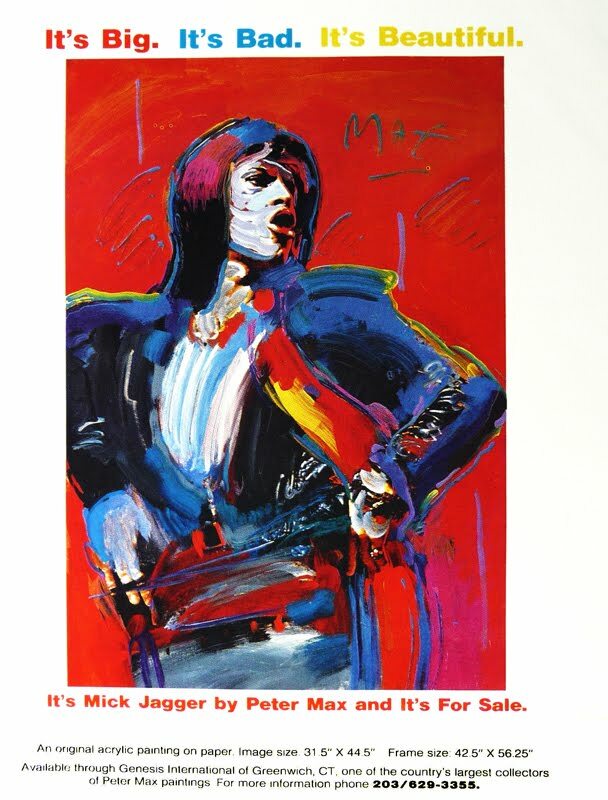 <-- Prom ad for a MICK JAGGER mix media paint. 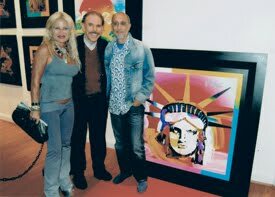 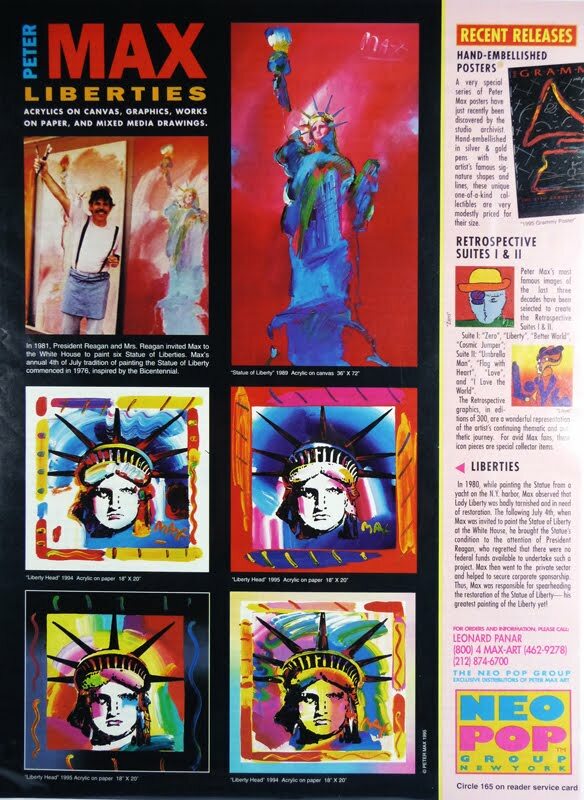 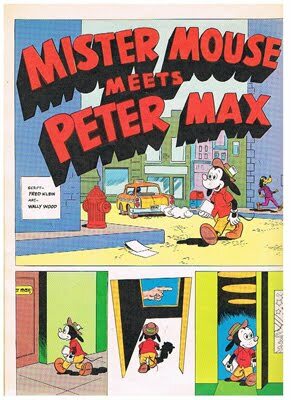 Page from a vintage magazine of 1993.
in the Art Business news magazine circa 1990. it has a rare image of Peter Max working at his N.Y.studio. 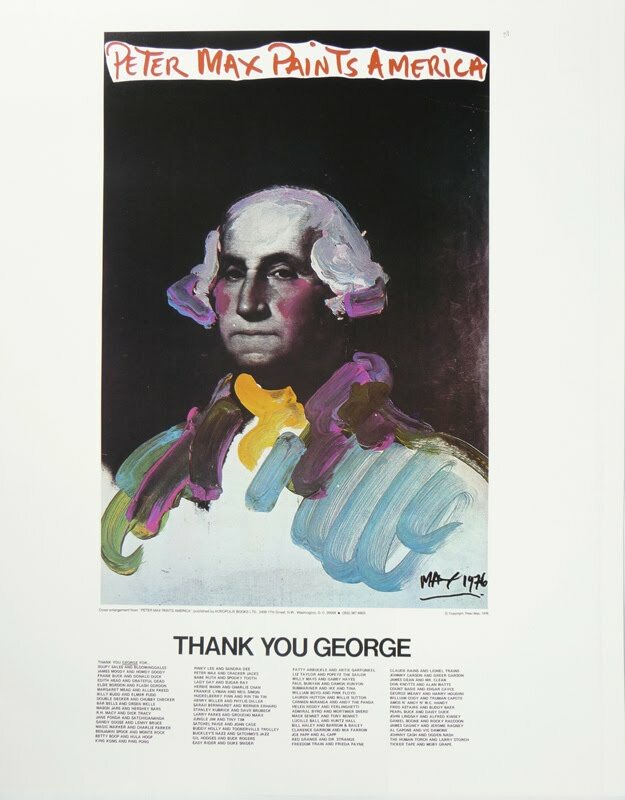 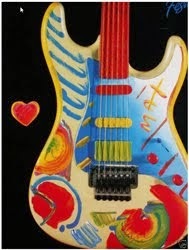 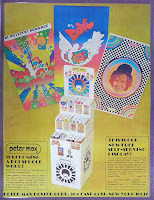 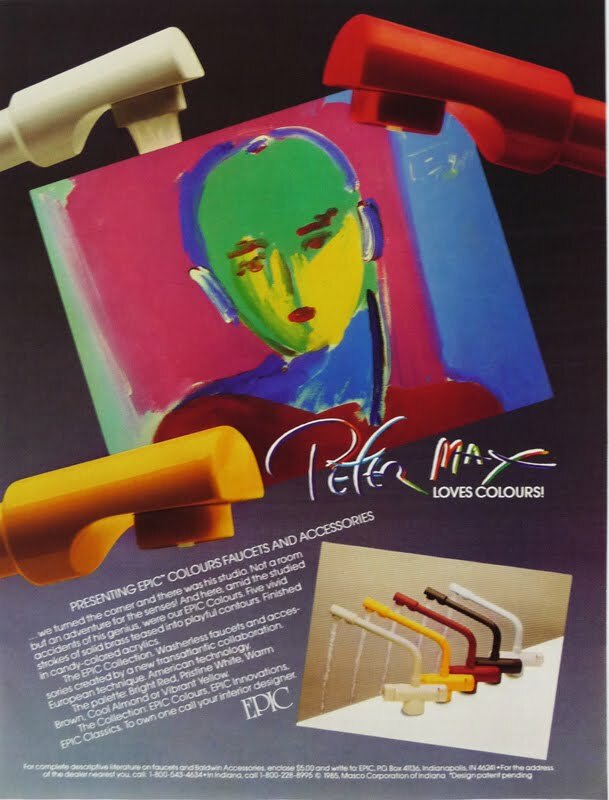 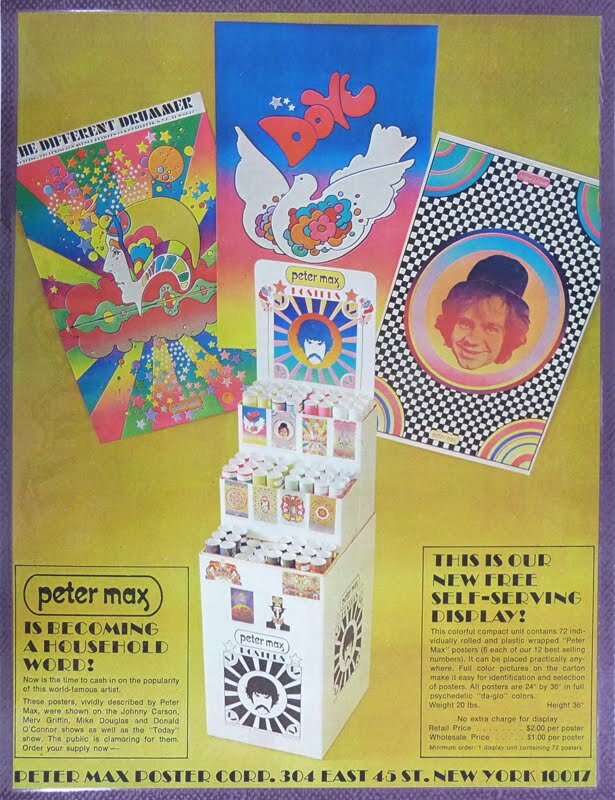 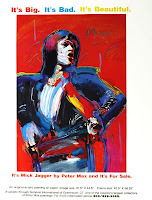 Advertisement for PETER MAX POSTER CORP, N.Y. 34th Av. 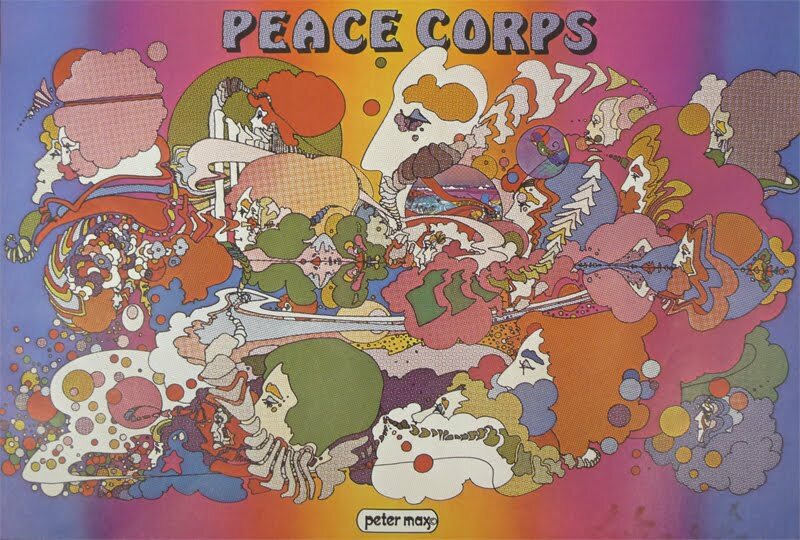 and the PEACE CORP poster.